Debate over transcatheter aortic valve replacement (TAVR) procedures continues as the Centers for Medicare and Medicaid Services (CMS) considers changing the status quo. Are TAVR volume requirements limiting rural and minority access to this life-saving procedure, or are they still necessary for patient safety? 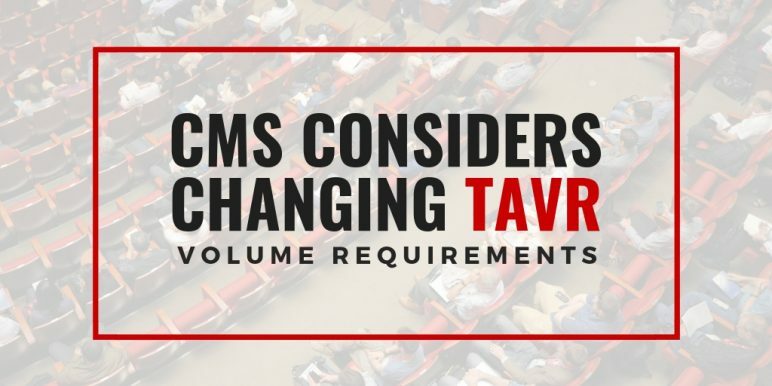 In June 2018, cardiology news sources widely reported that CMS opened public comment on established volume requirements for hospitals and heart teams to perform TAVR. The Medicare Evidence Development & Coverage Advisory Committee (MEDCAC) then met on July 25 to discuss the issue. A report in Cardiovascular Business suggested that the committee appeared split on the subject—especially in weighing the potential harms of limiting TAVR to only high volume hospitals. For those on the side of maintaining TAVR volume requirements, the benefits are obvious—volume is associated with positive outcomes and lower rates of complications. In fact, a 2018 expert consensus document from four major cardiology societies actually supported increasing volume requirements to maintain a TAVR program, to ensure adequate data collection for statistically reliable quality metrics and quality assurance. A new study published in September in JACC: Cardiovascular Interventions seems to add new weight to this argument—data collected from hospitals participating in the international TAVR registry showed volume to have a significant effect on patient safety. The findings suggested that a learning curve of at least 225 procedures was required for hospitals to perform TAVRs with the lowest mortality rates, and that low annual volume hospitals were associated with decreased procedural safety and higher patient mortality. John D. Carroll, MD, of the University of Colorado School of Medicine wrote an editorial in the same publication arguing that there is a “danger of lowering TAVR quality of care” by relaxing or eliminating TAVR volume requirements. “This would create many new centers starting a new learning curve, result in more low-volume centers, and potentially diluting the case volume and advanced skills of established and high-volume centers,” he writes. While the case for TAVR volume requirements is strong, it does little to answer the central question of the opposing viewpoint—does the benefit of expanding TAVR access to rural areas outweigh the cost of allowing the procedure to be conducted in relatively inexperienced or low-volume centers? It is difficult to capture data depicting how many patients with aortic stenosis go without valve replacement due to TAVR volume requirements, but the concern seems genuine. We continue to learn more about TAVR, but experts have already established the procedure as the “treatment of choice in the extreme-risk patient who cannot have surgery,” said Martin B. Leon, MD, FACC at a 2017 American College of Cardiology conference. In this population, where surgical valve replacement is not an option, median life expectancy is increased from 11 months to almost 30 months with TAVR, according to Leon. Indeed, some experts like Deepak L. Bhatt, MD, MPH, FACC, believe that, regardless of surgical risk scores, patients over 80 should undergo TAVR rather than surgical valve replacements. What is particularly concerning about the debate surrounding TAVR volume requirements is the questionable motivations surrounding the issue. On one side of the fence are large, high-volume TAVR centers that benefit from referrals for the procedure from other hospitals. On the other side are the smaller hospitals looking to compete, and of course, the medical device industry which will profit from a larger market for its products. We’d appreciate your insight on this issue—for cardiovascular professionals working in smaller or rural health centers, do TAVR volume requirements limit patient access to what may be a crucial procedure? Or do you have experience with the TAVR learning curve? 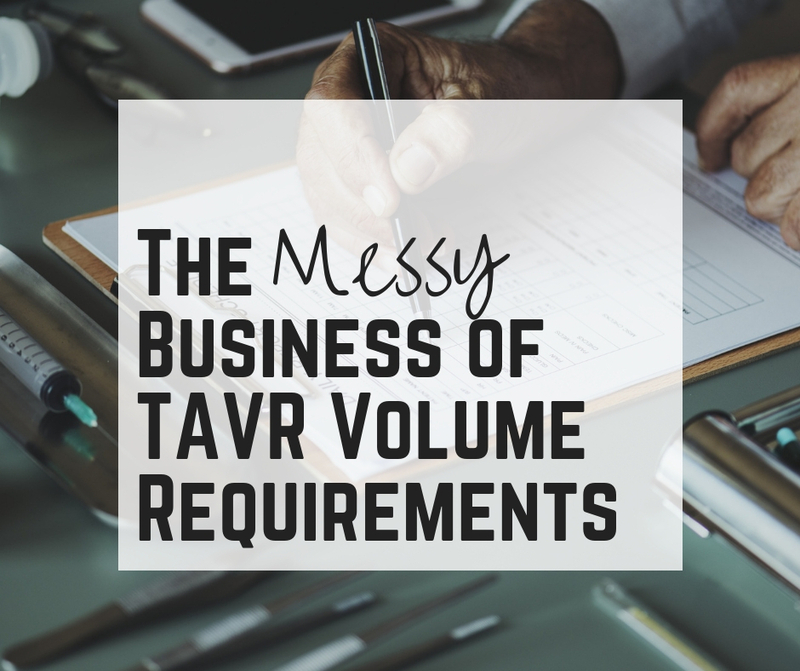 Are volume requirements necessary to limit complications? Leave a comment! TAVR is still a risky procedure and should be done in centers that have experience and appropriate means to handle complications. It does require skill/technique to have the best outcomes. Not only performing the procedure, but also the testing. Catastrophic complications can occur if the physician is not experienced. I think the point that should be addressed is getting people access to centers that have good outcomes and allotting those centers the resources to accommodate the increasing need.